It finally happened on January 16, 1919. Church bells rang across America as the state of Nebraska voted to seal ratification of the 18th Amendment to the United States Constitution. The United States, the “first great nation to go dry” was about to enter a new era. No Prohibitionist was more ecstatic than Evangelist William Ashley “Billy” Sunday. Richmond, Va, Jan 16 – The rain of tears is over. The slums will soon be a memory; we will turn our prisons into factories, our jails into storehouses, and corn cribs. Men will walk upright. Now women will smile, children will laugh, Hell will be for rent. If any State fails to ratify the amendment, the star in the flag that represents it should be draped in mourning. 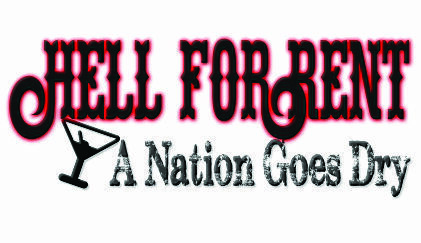 Instead of “heaven on earth”, hell wouldn’t be “for rent” as Sunday proclaimed. Rather, all hell would break loose in the form of bootlegging, moonshine and a level of lawlessness never before seen in America. 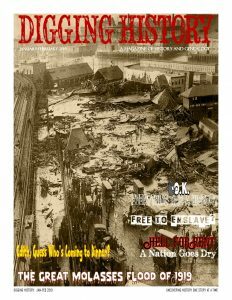 The January-February issue of Digging History Magazine explores the lead-up to the history-making event which occurred on January 16, 1919 when Nebraska voted to ratify the 18th Amendment to the United States Constitution. It was the culmination of decades (and decades) — reaching back to the 1700s of colonial America — of prohibitionists advocating for a more temperate society. 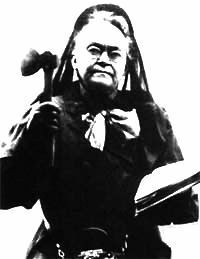 One of the most famous prohibitionist was a saloon smasher (literally!) What a character she was! This year will feature several articles on the volatile year that was 1919. In so many ways events of that year changed the face of America forever. The January-February issue is on sale by individual issue purchase. Better yet, a subscription (three options to choose from) is the best value.